Below are a small sample of testimonials from satisfied customers. We try hard to ensure you are satisfied with our service. Any questions, feel free to contact us. "Doing fantastic with my rower, just what I was looking for so no confusion there between buying on line & actually receiving the product. Delivery from QLD to Victoria too quick for words, ordered Monday, product arrived Thursday!!! WOW!! Best online delivery purchase I've had to date, so thank you to all the team at Fitness Market - I'll definitely recommend your website to family and friends. 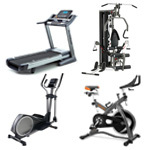 Cheers, Happy Customer, M Ball"
"Great Product, Great Service, Thanks, Woza"
"Recently we purchased from "Fitness Market" an Elliptical Cross Trainer and a Rowing machine. One of the Best Business we have ever dealt with! Lightning speed delivery, impressive follow up, courteous, honest, and helpful beyond obligation. They care about their business and about their customers, and from personal experience, purchasing from "Fitness Market" guarantees peace of mind!" "hey guys i live in cloncurry, 900kms west of the coastline...middle of nowhere.....ive order a few products from you now and just wanted to say thankyou very very much for the following things...such a large variety of top quality products, simple and imformative layout of online ordering which is what i do, stock status, great pricing and really fast shipping. As i have experienced that australia post is an absolute joke in all ways when it comes to my location. 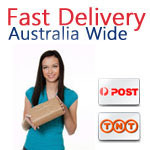 Private couriers like tnt are the best takes 5 days including processing which is superb, aussie post takes near on 10 days just for their shipping. the way u have ur site set up now is perfect, dont mess with it lol...keep up the great work. i will never shop anywhere else and i have put many a mate onto your website and actual store as well...kudos." "Thanks Nick. The service has been fantastic. I’ll look up the website next time I need something." "Thank you fitness market. My order arrived yesterday with the shake maker and a magazine, I am very happy and will be ordering more stuff in the future as well as telling my friends about you guys." "As a new customer I just wanted to write and say how happy i am with your service. 2 days delivery from Brisbane to the Blue Mountains west of Sydney , goods were exactly as i had ordered and left where i requested and the big plus is i was purchasing my supplements from my local Workout World until i visited your site Your prices and service have won me. Thank you!" "Thats awesome. 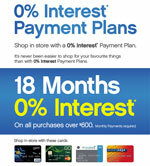 Such a quick processing time, I will certainly be shopping with your company from now on. Many thanks." "Wow I just received my order! Thanks for the speedy delivery and for actually getting my order correct first go! You wouldn't believe the number of times various online supplement stored have got my orders wrong or sent me product with incomplete or broken seals...its so frustrating. I will definitely be coming back here from now on. And thanks for the free samples too! Yewww!" "To my surprise I found my order when I arrived home yesterday. Thank you for the prompt service and the magazine/samples you included with my order." "Your service is rare and appreciated. We were surprised how quickly our order was delivered. Thank you." "Thanks for the advice you provided on the phone. It made our decision in selecting a treadmill a lot easier. We will recommend Fitness Market to our friends." "Your service and delivery speed is nothing short of astonishing." Hi Nick! Just a note to let you know that the Myoplex carton arrived safely. I am very happy with your service and will purchase again from you. Thanks again. Thanks heaps for the reply it came today will shop with you guys in the future Cheers. “Thank you so much, i've received it just now. I hope to do more business with you." "Thanks Nick. Your quick responses to my emails and your communication has been great! I've added fitness market to 'my favourites' and will definitely consult with you guys when I need more gym gear. Well done!!" "Hi Nick. The bench arrived today. Thanks again for your first-rate service...I am genuinely impressed and will be telling my friends about your professionalism!!" "Just wanted to say thanks for the super fast delivery and the nice freebies that you sent along with the order. Awesome customer service and great prices on your products, one very happy customer." "Hi Kieran I received the package I ordered, only day after my order. Impressive, considering I’m in Sydney. I appreciate your promptness, and your personalised service when I needed help with my internet order. Thanks again.